hashi.org: Hashi.org Announces American Scholarship Winner! Hashi.org Announces American Scholarship Winner! · A law student with a goal of becoming an attorney with expertise in Japanese intellectual property (IP) and entertainment, who is becoming involved with The Waseda Reconstruction Support Office, which was established to serve as the coordinating center for recovery and reconstruction efforts regarding the Great East Japan Earthquake and Tsunami. Our winner is a student studying this summer in Korea, and the 2013-14 term at Kyoto Gakuen University. Her Independent Study focused on Japanese imperialists and their utilization of the Mimana colony recorded within the Nihon shoki in order to justify the Annexation of Korea in 1910. Afterwards, she addressed the post-war Korean response, refuting Japan's interpreted version of Korean history, particularly the history of Gaya (J: Mimana). On May 14, 2013, she received the Outstanding Major Award in East Asian Studies at North Central College. Her goal is to become an East Asian Studies professor, focusing on Korean-Japanese relations. Again, our honorary panel of judges this year found this scholarship decision the hardest one yet. With so many worthy applicants with admirable accomplishments and aspirations, it was extremely difficult to choose just one. But the winner’s application proved to be the finest example of the ideals and goals of hashi.org. 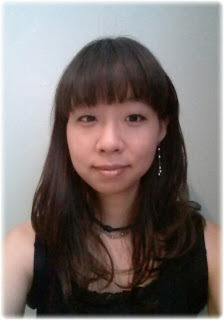 While there were many worthy submissions, Hashi.org is proud to award a $1,000 travel scholarship to Clara Hur! Congratulations!